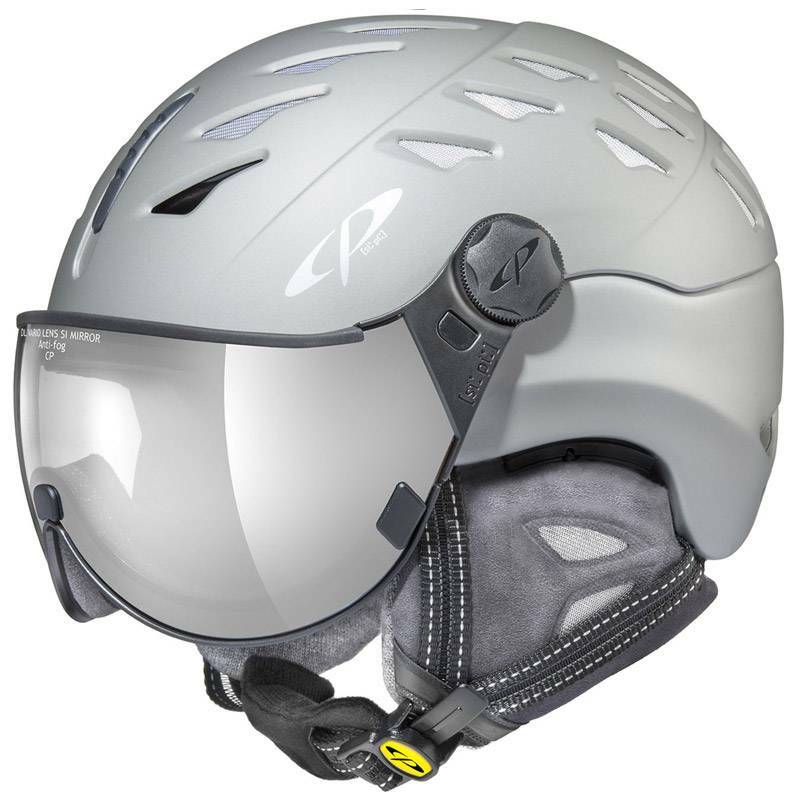 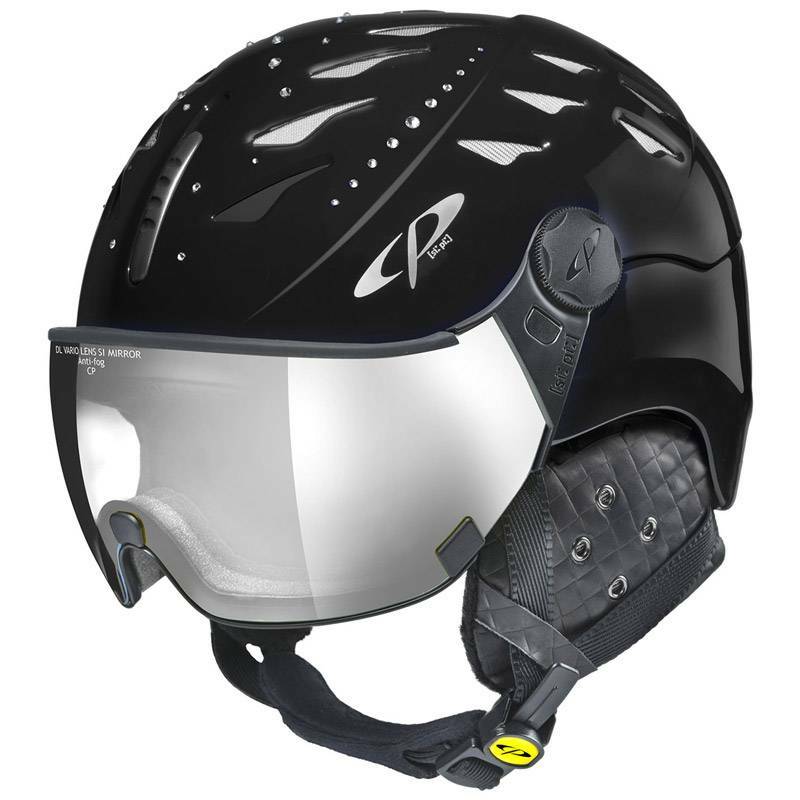 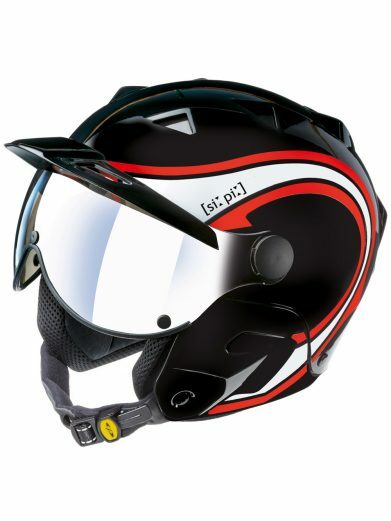 Get the CP Curako all in one ski helmet for sale online at Stefan Kaelin designer ski shop. 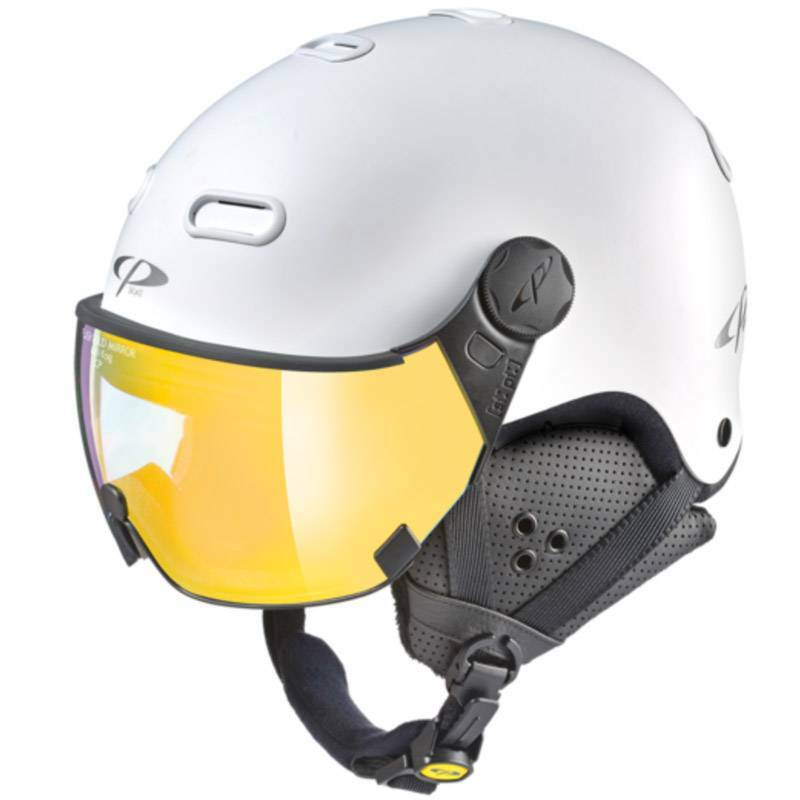 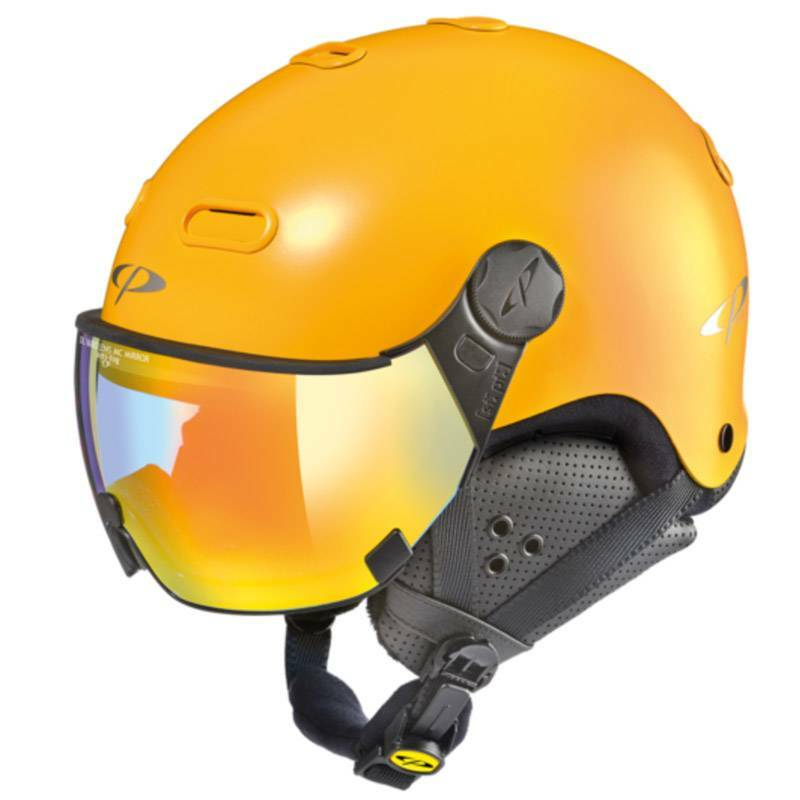 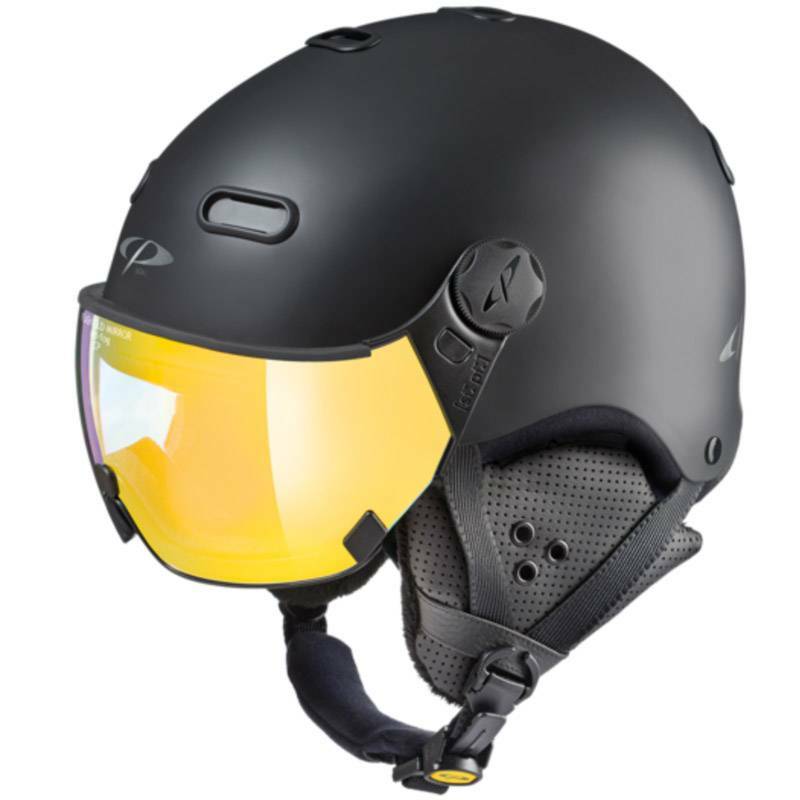 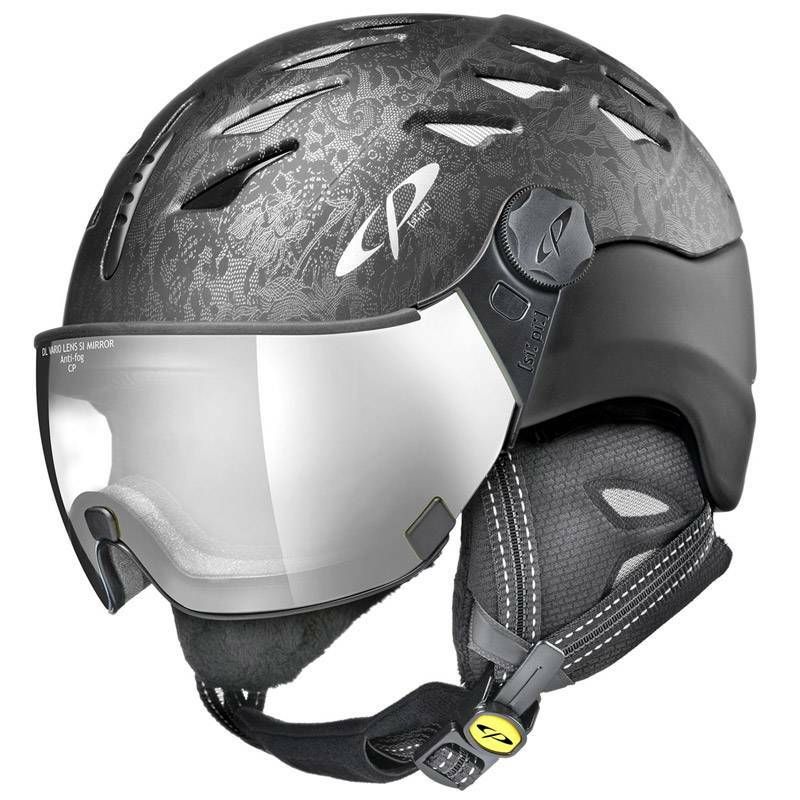 This helmet is a work of art with its striking sulphur yellow and black color combination, why wear a boring ski helmet when you can wear a designer ski helmet. 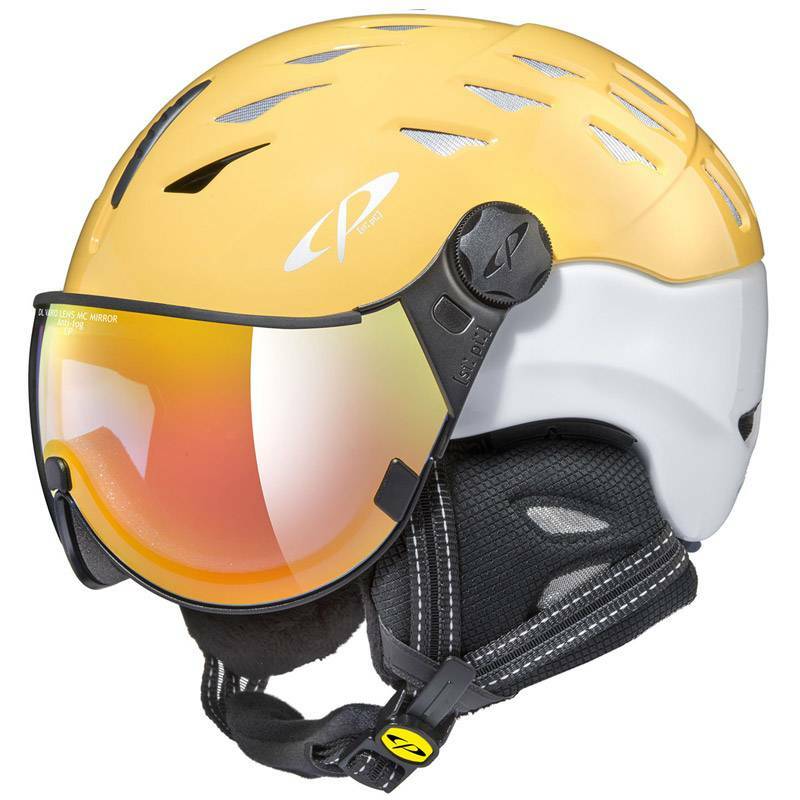 And you may not find these visor ski helmets on sale again so order your online today. 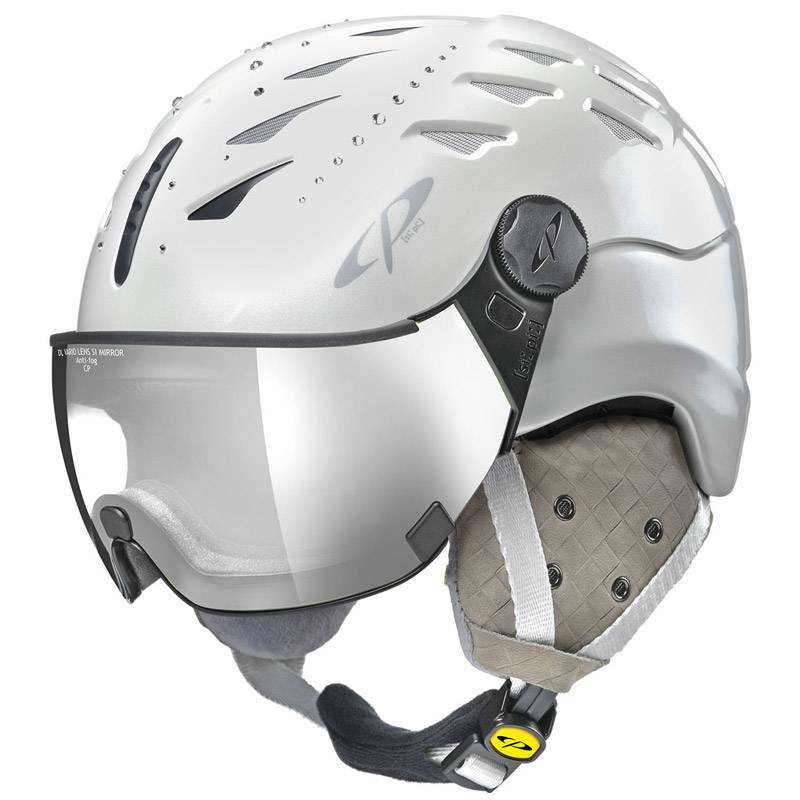 The Curako like all CP Swiss ski helmets has the easy to use Size Adapting System. 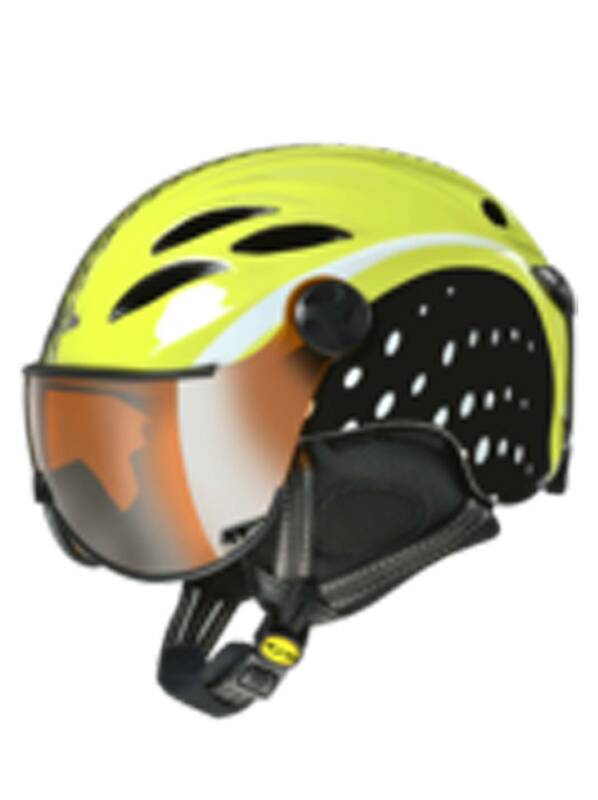 A single dial that can be adjusted while skiing allows you to perfectly dial in the helmet to your head size, this is a key feature as the fit may need to change from day to day, or even as you heat up and cool down. 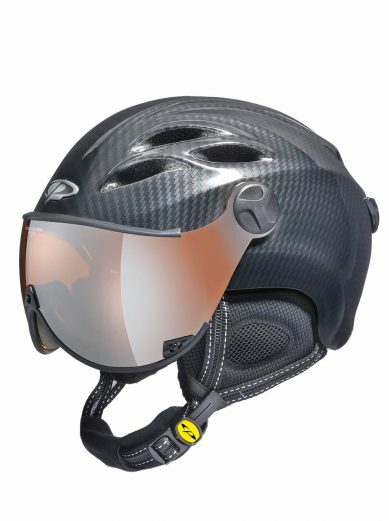 If you have never skied with a visor ski helmet you are in for a treat, these helmets will change the way you ski with improved vision and create comfort you will never go back to an old fashioned helmet and goggle combination again. 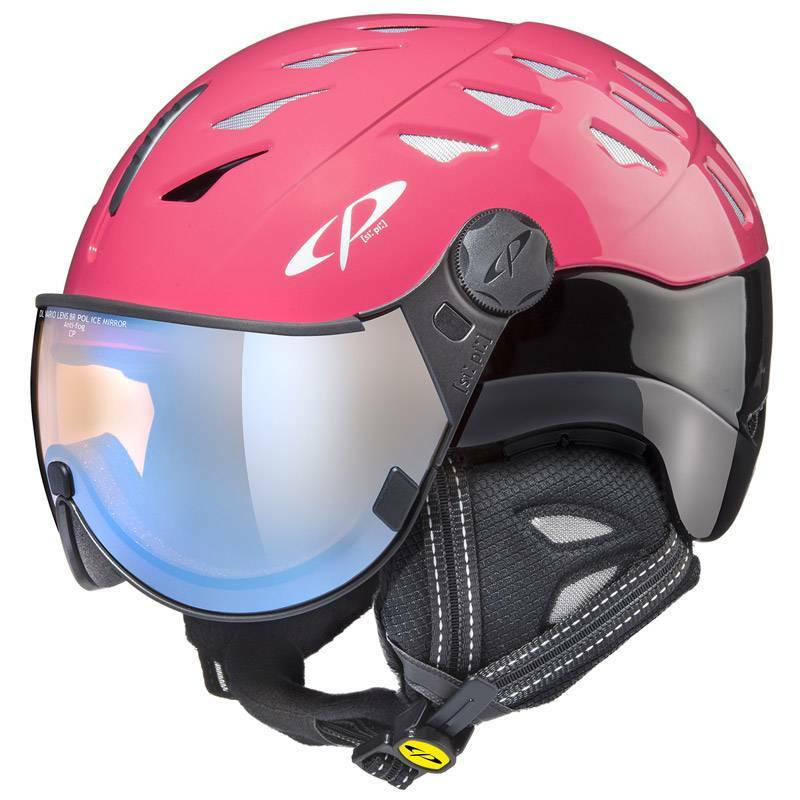 For skiers who wear glasses this helmet will truly revolutionize your ski experience, not only is wearing glasses more comfortable but the visor provides greater protection for your face from impact than traditional goggles. 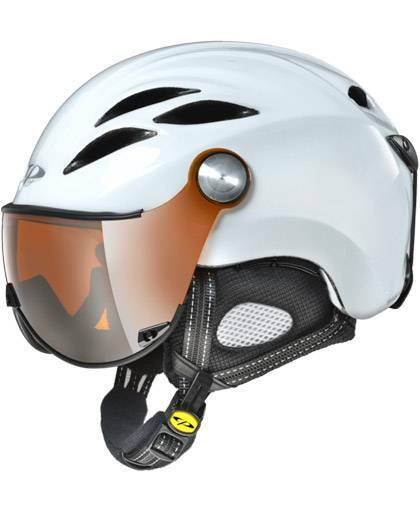 The orange and silver mirror visor is ideal for all weather conditions and not only can you see great but this visor is 100% UV resistant offering great eye protection from the reflection of the sun from the snow. 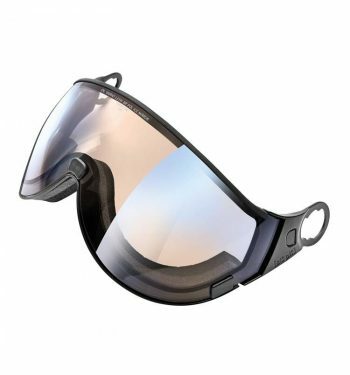 These visors eliminates glare and have an anti-fog coating so they won’t fog up as you warm up, making the visor great for aggressive skiing.